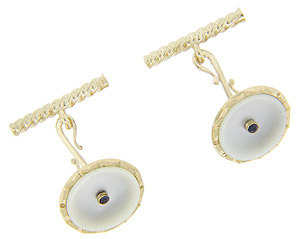 A single round sapphire is surrounded by mother-of-pearl on each face of these 14K yellow gold antique cufflinks. 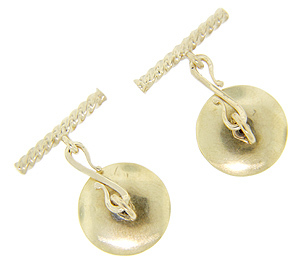 Each round face measures 5/8” in diameter. Circa: 1910.